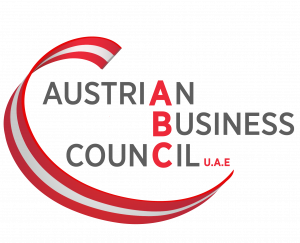 Today the Austrian Business Council (ABC) is one of 40 officially recognized Councils by the Government of Dubai. Therefore ABC profits of substantial benefits being a major player enjoying activities of various Business Groups & Councils. What is the difference between corporate and individual membership? The difference is not very much as both memberships enjoy the same rights under the Articles of Association of the ABC. If a Corporate membership exists, however all members of this corporate entity can participate in ABC meetings and receive all promotional material from the ABC (website, newsletter). Individual membership is tied entirely to the individual person, if he resigns the ABC membership is cancelled also for the company he represented. Can I obtain a visa for Austria and the Schengen countries? Please contact the website of the Austrian Embassy www.bmeia.at/abudhabi for details. Please note that before you can submit your documents and application forms you need to get a meeting appointment via the VFS who can be reached under +971 4 376 4100. Where can I find business leads to Austrian companies not in Dubai? The Austrian Trade Commission is handling all inquiries for Emirati businesses in the region. They have offices in Dubai, Doha, Kuwait and Karachi and the head office is in Abu Dhabi at the Austrian Embassy. Can I join the events on a trial basis? Yes of course, we are pleased to welcome you to our Networking & Social Events! Kindly note that special discounted rates apply to our members only. Does the ABC give any recommendations how to do business with Austria? No, this task is carried out by the Austrian Trade Commission. Are there similar Business Councils of Austria in other GCC countries? No, not yet but Doha und Oman is planning some similar activities and some Austrian businessmen in Kuwait are keen to activate a business council there. If I join during the year do I have to pay the full amount? Yes the full amount is applicable. However if the business year of the ABC (which is from February to January the following year) has passed with 6 months or more a deduction might be possible. Is the ABC linked to any Austrian government institution? No, but the ABC is approved by the government of Dubai to act as a broker between Emirati and Austrian businesses. Where is the office of the ABC located?